Around the festive season there will be plenty of cold cuts of poultry and game birds or vegetarian dishes that will be complemented by this braised celery, served hot or warm. 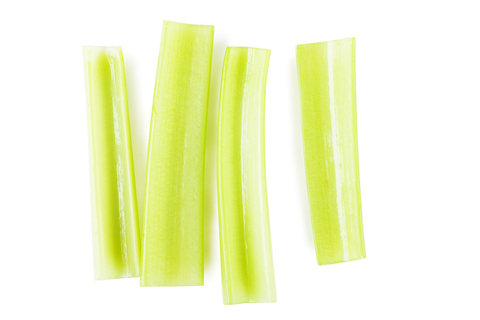 Wash – scrub even, if the celery has just been lifted and is covered in soil. Cut back the leaves and heads by about six inches (15cm) and slice off the base. Cut into quarters along the length, rinse and drain, and place in a casserole dish large enough to lay them flat. Pour over the stock and wine, add the lemon zest and freshly ground black pepper. Bring this to a simmer. Cover with a layer of greasproof paper and the casserole lid. Simmer gently for about an hour, making sure the celery is tender. Mix the vinaigrette. Remove the celery to a serving dish, reserving the juices which you bring to the boil, reducing to around three tablespoons. Remove from the heat, stir in the vinaigrette, taste, season, pour over the celery and serve or leave to cool for later. This is a magnificent post December’s Braised Celery Vinaigrette . I benefit from the knowledge lot. I will bookmark this page. show gratitude’s for sharing this knowledge.